One day Wire Dog and Ellen went outside because Ellen’s mother was working so hard all day long. Ellen’s father was working all day long too; and he was going to stay at a hotel for a week. He may be home again on Monday. So Ellen missed her father a lot lately. Wire Dog too. 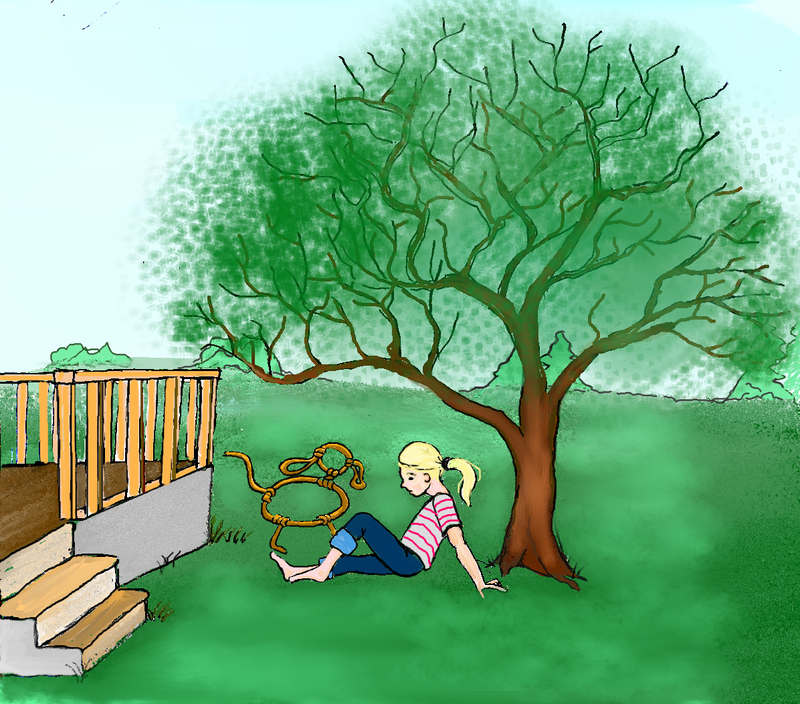 When Ellen and Wire Dog were playing outside, Ellen fell off the tree and she cried. Her mother came out right where Ellen and Wire Dog were. Then Ellen’s mother told her that getting up a tree is not okay or jumping off a tree. So Ellen obeyed her mother’s words a lot. So Ellen went to the playground. When it was almost dinner time she called her dog. Wire dog did not obey her. So Ellen ran home but when she reached home she called his name. Wire Dog did not come home. So Ellen went looking for him. Ellen was sad. She ate her dinner. She brushed her teeth and cleaned the bedroom. Then Ellen went to sleep and had a good dream about Wire Dog. He was playing with Ellen when thunder came. Ellen called Wire Dog to come home with her. Wire Dog did not obey her so Ellen called in a sweet soft voice saying Wire Dog should obey. Then Wire Dog obeyed and went home with her. When morning came Ellen jumped out of her bed, got dressed, ate, and went to school. She came home feeling sad and at the front door there was Wire Dog.